Though only a few columns remain of the Temple of Olympian Zeus, this massive ode to the king of the Olympian gods is still well worth a visit. Pretty, but rushed due to the tour running late. Pretty, but rushed due to the tour running late. Best advice: If you want to see a lot, book a private tour. Too many people and too much to see in Athens for a cruise tour. Orgainsed our tour through www.privategreecetours.com. Orgainsed our tour through www.privategreecetours.com. Excellent tour customised to our needs, met and dropped off at the terminal. Our driver/guide (Elis) was font of all knowledge and made the tour and fantastic experience. What is left of the Temple of Zeus is amazing and worth the visit. Quick drive by just to see it; did not go in. If only that marble could talk. If only that marble could talk. Excavated Roman road & bath there as well. When you buy your ticket at the acropolis, buy the one for Zeus at the same time. When you buy your ticket at the acropolis, buy the one for Zeus at the same time. There is a cost saving. Interesting to see. We walked from our hotel and saw this along with the Olympic Stadium, Botanical Gardens, and the Parliament with the changing of the guards. We were able to get photos with them as well! Just something to see while at other sites. Nice to see. But very hot under the sun. I really don&apos;t remember much about it. Amazing ruins. This must have been one heck of a temple! Highlight of the cruise. 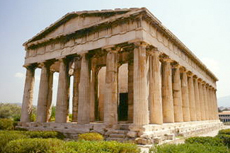 Athens is very interesting and historical sites are great to see. Use a guide to maximize time there. Great tour provided by cruise line. Great tour provided by cruise line. Our guide was great and gave tons of information. Temple of Zeus was highlight. Under renovation. Lots of scaffolding up. Greece is in a bad way....loved the ancient wonder of the Acropolis it is a must see. Greece is in a bad way....loved the ancient wonder of the Acropolis it is a must see. Very slippery walking even in good weather! Our tour guide was wonderful and her English was spectacular! We visited the Olympic village, Parthenon and other sites.